252001, Shildon cavalcade, 31 August 1975. The cavalcade ended with the prototype of BR's enormously successful High Speed Train. 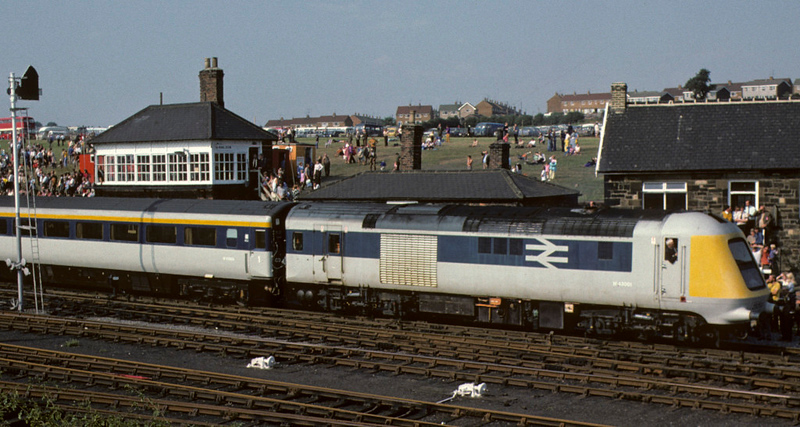 252001 was built in 1972 and withdrawn in 1976 when production HSTs began to enter service. The power car seen here is W 43001, originally 41002. It ended its days as test vehicle ADB 975813, and was scrapped in 1990. Photo by Les Tindall.